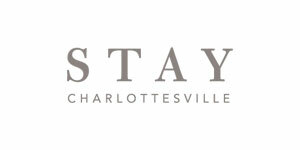 Monticello Wine Tour and Coach Co is Charlottesville’s premier provider of both ticketed and custom wine tours, wedding charters, airport transportation, and for-hire services in Charlottesville and the surrounding area. Our team of professionals will provide the highest level of service with the area’s most modern fleet of Mercedes Sprinters, luxury Chevrolet Suburbans, and Cadillac sedans. Monticello Wine Tour and Coach Co offers you a premier experience as you get to where you need to go. Our team of professionals will customize your trip in our top of the line fleet. Whether it’s exploring historical sites, visiting your favorite winery, or getting a group of friends together, Monticello Wine Tour and Coach Co. offers a way for you to find all the adventure that Virginia has to offer. Through our packages and customizable tours, you will always have someone to pick you up. Whether you need transportation to a wedding, the airport, a group shuttle to an event, or private chauffer for a special occasion, our fleet of high end SUVs or luxury coaches is sure to fulfill your need and exceed your expectations. Choose from a variety of guided wine and brewery tours, and experiences that will make for a very special day. Need a ride to the airport, have a wedding party, a conference, or private event? Let us help customize your transportation and make sure that your needs are taken care of. Monticello Wine Tour and Coach Co is the best choice for your transportation needs, because we care. We ensure that your tour or event will go smoothly, so you can relax. HIGHLY RECOMMENDED! We did a public tour this weekend with Anna as our driver. Anna is the best — friendly, makes you feel like a group of friends not strangers, professional as she takes pictures, takes your purchased wine to the van, pays for the tasting, etc. We had so much fun and Anna kept us on track. Not only was the tour unbelievable with Anna, but the tasting are included! We went to King Vineyards, Pollack, and Veritas and enjoyed them all. All together there were 9 in our group and by the end we were dancing on the ride bacm exchanging link. Looking forward to our next wine your with Monticello and (hopefully!) Anna!